After our French livestream yesterday, Miguel, Davton and I found ourselves in the middle of a small snow storm which looked very good. It was then hard for Miguel to resist so he captured some more footage on Xbox One to share it with you guys. 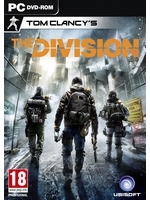 As you'll see, Tom Clancy's The Division does look impressive on Xbox One, no matter what some people say or think. Our PS4 and PC videos should be up sometime today, and we'll be live with you (on PC if everything goes well) tonight at 9:15 GMT+1. See you then! thx for the videos ! Looks great but the game mechanics should not allow to run that much...looks so stupid, annoying to see everybody to rush. Seems you can sprint all the time without being exhausted. Imagine when 30+ players will do this, this is totally a turn off for me. 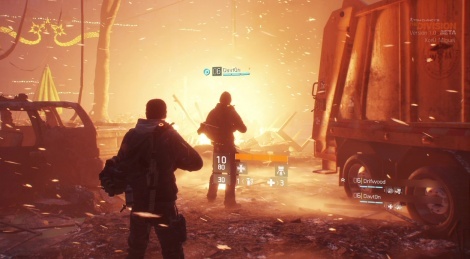 the first 50 seconds of "wandering #1" is probably the most impressive thing i've seen of the division since it's downgrade. the rest just reminds me of how far off from that vertical slice it is. I was playing this until 4:30am! Addictive and fun as hell with a group... it does indeed look great and theres so many small incidental touches within the world that add to immersion.. was quite surprised to find a network of large detailed sewer tunnels under the city too.. Even though it is not a patch on its initial reveal, the game still looks great. When I heard "Downgrade! Downgrade! Hey, we got a downgrade here!" I honestly expected a whole lot worse, I only a played a bit on XB1 last night, but I should get some healthy sessions on both PS4 and XB1 tonight. From what I played yesterday, I can definitely see this being the new thing, and what better timing than when Destiny is somewhat devoid of things to do. If Ubi play their cards right, this could have a massive fanbase I feel. Even though it is not a patch on its initial reveal, the game still looks great. The beta is a bit light on content. I haven't hit the DZ yet. I'll do that later tonight when some friends are on. Oh and the PC version is pretty nice looking. new to ubisoft games i take it? I'm not sure, but I don't think that KORNdog likes Ubisoft. That might explain all the shitposting. It looks nothing like this on the PS4 version. That's the honest truth. It looks great on ps4 and had no frame drops so far. Looks better than expeted overall. Impressive indeed. Even the IQ looks solid on Xbone. lookig forward to PS4 gameplay. It's actually a complete turn on for me. Call of Duty has soldiers who can only run for 10 seconds. That's a turn off. A game where characters can run for twenty minutes if you want is a nice change and much more realistic.